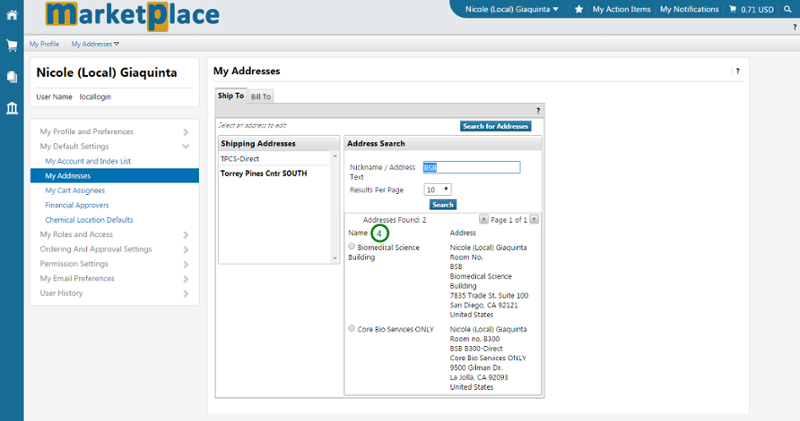 A shipping address is the address where you want your order delivered. 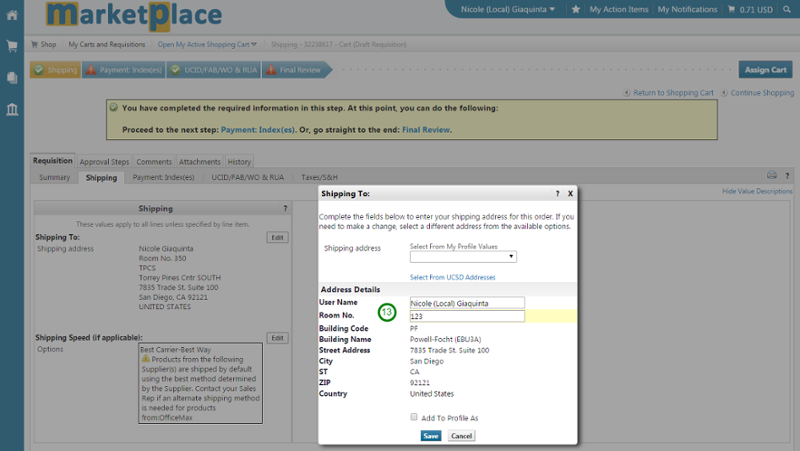 You can have a default a shipping address in your Marketplace profile, have multiple addresses saved to your profile, or add a shipping address each time you checkout. Note: 7835 Trade Street is the campus Receiving & Distribution location and is the primary address for buildings on the main campus. If you are located on the main campus, we encourage you to route all deliveries through Receiving & Distribution in an effort to minimize the number of delivery trucks on campus. 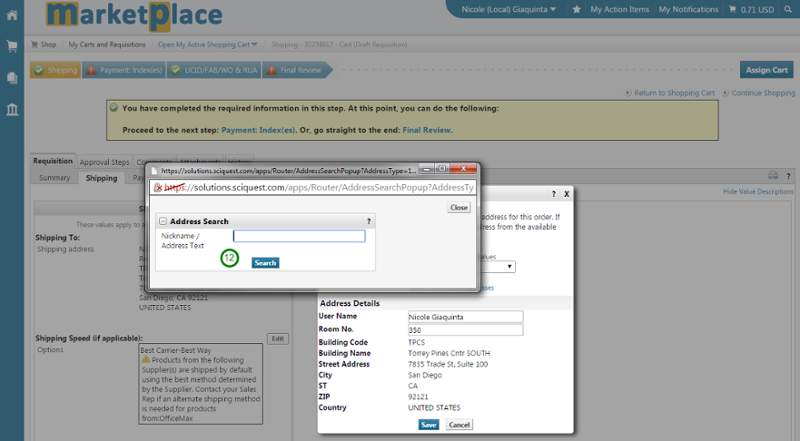 During checkout in Marketplace, you can select from the addresses saved in your profile, or you can search for different addresses to designate. 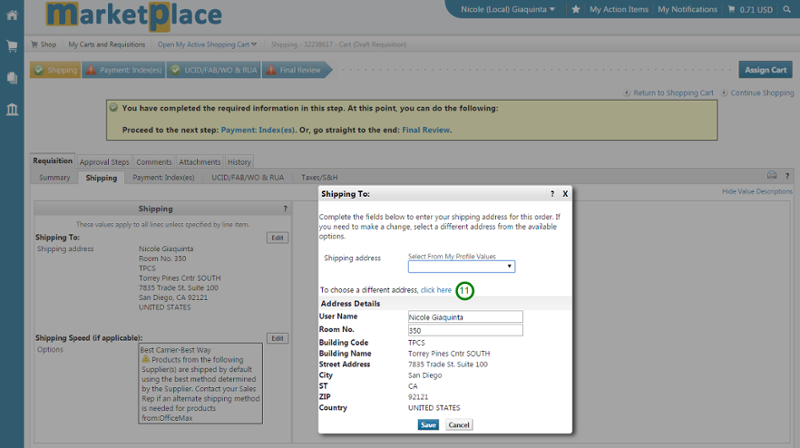 If your shipping address doesn't appear after you've searched for your building or street name, submit a case in ASK (login required) with the completed Marketplace New Ship-to Address Request Form (PDF). 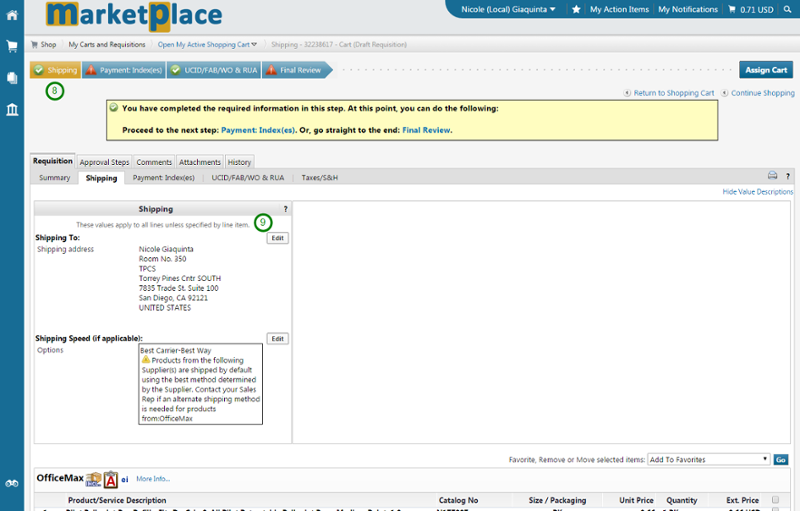 Based on the duration and/or need, we may add the address into Marketplace on a temporary basis. 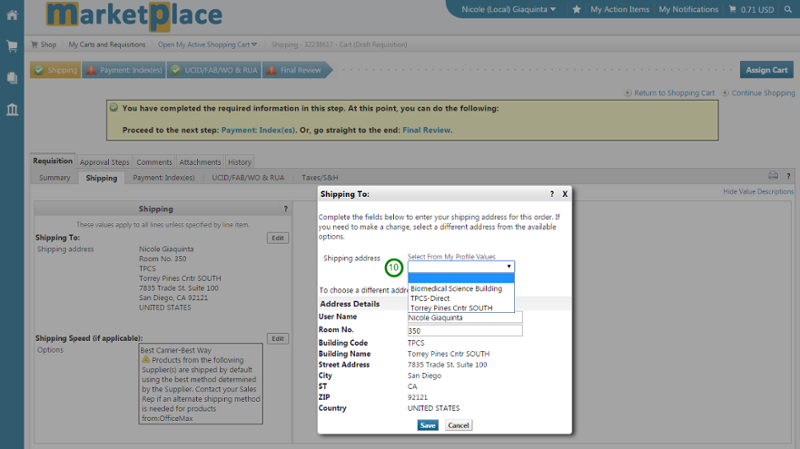 If it is a one-time order, it may be faster to place the order using your Express Card or have Mail Services or Receiving & Distribution forward it to you.